How many cars are in the game? Cars have been added to the game every month since launch and as of May 2017 there will be over 500 models that can be driven in the game. 334 standard models in the Autoshow. The list of "over 350 cars" announced at E3 available at launch (including Autoshow, Barn Finds, Skill Shop, and Midnight Battle models) plus launch DLC (VIP, All Stars, and pre-order bonuses) was revealed on August 23. See a full list of the cars (with comparison to previous Forza games) at my online spreadsheet linked at ManteoMax.com and the visual online database at www.KudosPrime.com and also see the Confirmed Car List discussion thread for other sightings. Which Manufacturers are in FH3? According to Turn 10: "Unfortunately, we can’t always align our fans’ desires with the interests of every licensor, as is the case with Volkswagen in Forza Horizon 3. As a result, we’re unable to include VW in the game. Naturally, there are tons of VW fans here at Turn 10 and Playground Games and we’re as disappointed to share this update as our fans are to hear it. We hope to be able to restore VW to Forza games in the future." When will Porsche be added? Turn 10 and Porsche announced a six-year partnership on April 12, 2017. The Porsche Car Pack is a paid DLC pack of seven models, while additional Porsche models have been added to the game for free as Forzathon awards. See the DLC thread for pack and content update details. Why are cars from previous Forza games not carried over into FH3? "Sometimes it's a choice we made to make room for another car we felt was more important for the title. Game design balance might be a factor. Or disc space: there's only so much room on the physical disc. Project budget or schedule impact another: porting and licensing cars from earlier titles in addition to building and licensing new cars all come with resource cost we have to prioritize. Sometimes we decide that a car has been made redundant by a higher trim version or newer model that otherwise is too similar to an older model to justify both. Sometimes we are unable to license a particular car by a manufacturer, or any car by a manufacturer (or even multiple OEMs represented by the same agency) for one reason or another, even if it was in last year's game. There are quite a few cars in the community top 100 list that fall under this category, but we'll keep trying. There's a reason that no other racing game features so many manufacturers: it's really hard! It takes a dedicated team of professional licensing and legal experts working year-round to maintain strong relationships with OEMs, race teams, and the agencies and lawyers who represent them, as well negotiating ever-changing contract terms, costs, and often changing personal contacts. The desire to have every car that has appeared in Forza to be included in every new Forza is understandable, but to expect that is just not realistic from a game design, licensing, or business perspective." "Cars we shipped on Xbox 360 don't take as much time and resource to rebuild for current gen as all-new cars, but they still take a considerable amount of effort that has to be weighed against adding all new cars. We're well aware of the community's top 100 cars for FM6 (many of which carry over into FH3 wish lists) now thanks to ManteoMax's compiled list, and we'll continue to tick those off as well as we can moving forward." Why are Chevy SS models spelled out as Super Sport? "Changes to the Super Sport models In Forza 6 were made in association with Chevrolet in order to align with the brand's global naming strategies." Are there Unicorn cars in FH3? The concept of Unicorns - cars only available as a gift from Turn 10 - has changed from previous Forza games. There are multiple types of cars and models not listed in the Autoshow that are available from regular or timed (Forzathon) gameplay. Once the cars are available to players, they can all be sold through the Auction House, and used by all in shared Bucket List Blueprint events. Types are described below; see the growing list of exclusive models in the DLC thread. Most car models that are paid DLC can be purchased through the Marketplace tab or any Festival Site Autoshow (DLC Cars or View All and select). Each regular monthly car pack has a 'hero' car that can only be obtained by purchasing the entire pack, while the other models are available as individual DLC. Some individual car models (Pre-Order variants and promotional livery variants of existing models) are not available to purchase from the Marketplace or Store. The player must own the correct DLC in order to bid/win a model from another player in the Auction House, but all DLC models can be made available to other players as Bucket List Blueprint featured cars. DLC cars can be driven anywhere where you can drive regular Autoshow models (main map, expansion modes, multiplayer). DLC cars can be encouraged to appear for the Horizon Promo photo challenge by driving in a similar Type car or customizing a Blueprint race. Barn Finds are found in structures with a specific style of door. Once triggered, a cut scene will play and the car will be sent to your garage, but not immediately: the car will be put through a restoration process which takes time or you can speed it up by paying credits. Now fully restored, the car will be available to use like your other cars, with upgrades and paint. Each barn find model can only be collected once from the map location, but you may be able to buy additional cars of that model from other players in the Auction House. In addition to the 15 Barn Finds at launch, additional Barn Finds have been added with content updates. Some can only be unlocked with a particular Forzathon challenge, but you can still obtain them in the Auction House. See the Routes and Discovery thread for list of models (spoiler!). Horizon Edition Cars - when will they all be available? "If you’re very lucky, you might manage to find yourself with a Horizon Edition Car! These cars always come with a unique designs and special bonuses. The bonuses could a multiplier for certain skills, Credits or XP! As for how to acquire them, you’ll have to figure that out on your own!" Horizon Edition cars are variants of existing models in the game, usually tuned up and with body kits installed. HE cars also have special bonus factors, multiplying your Skills, Speed Skills, Drift Skills, Destruction, XP, or CR. HE models appear in Wheelspins, and once owned they can be sold in the Auction House for a minimum bid of 200,000 and minimum buyout of 5.5 million CR. Anyone can buy and use HE cars obtained from the Auction House. At launch only 11 out of 33 HE models were available from Wheelspins, and the selection has been rotated in later months. You must fist progress through the game to unlock the Skill Shop menu, then earn Skill Points from driving, then spend the points on Perks to get to the point of buying each car with points. Three cars are available from the Skill Shop in the Progress menu. You can only collect each model once with this method but may find duplicates available from other players in the Auction House. Challenge Drivatars in traffic to a race to unlock Street Races, and complete Street Races to unlock Midnight Battle events. Win a Midnight Battle event to earn the opponent's car for your garage. There are four Midnight Battle models. You can only collect each model once with this method but may find duplicates available from other players in the Auction House. In-game timed Forzathon challenges are rotated on weekends and some Tuesdays. You can see these challenges in the Rewards menu at this site or on the console dashboard under Locked Achievements. Beat the specified challenge to earn the exclusive bonus car for your garage. You can only collect each model once with this method but may find duplicates available from other players in the Auction House. 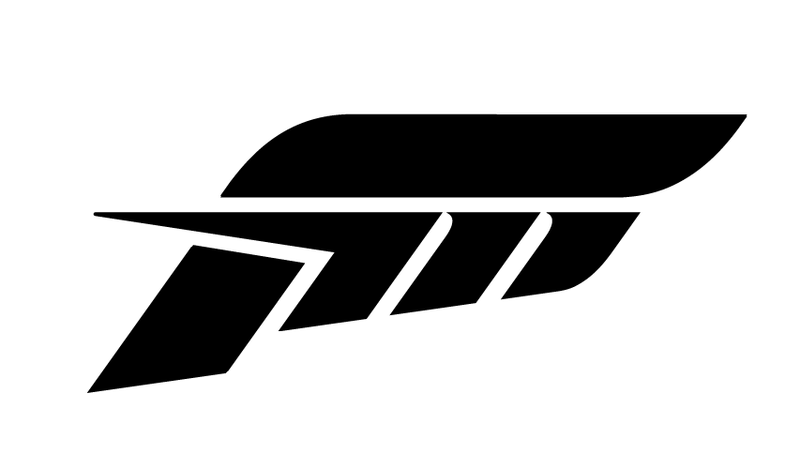 Forzathon models may cycle back for a second try in future events so be sure to look at the Forzathon discussion thread on a weekly basis to see what's coming.